Alexandria, VA – For 10 days and two weekends, 55 Alexandria restaurants offer a $35 three-course dinner OR a $35 dinner for two during Alexandria Summer Restaurant Week, August 19-28, 2016. More than two dozen restaurants will also offer lunch deals at $10, $15 or $20 per person in addition to dinner specials. New to Alexandria Summer Restaurant Week are Ashlar Restaurant and Bar, located at Kimpton’s newly-renovated Morrison House, and Bombay Curry Company in Del Ray. Returning participants include Cheesetique, Del Ray Café, Evening Star Cafe, La Bergerie, Magnolia’s On King, The Majestic, Mason Social, Mount Vernon Inn, Restaurant Eve, Sonoma Cellar, Southside 815 and Vermilion. Foodies will find delicious lunch offerings at Bastille, Blackwall Hitch, Brabo Tasting Room, Jackson 20, The Wharf and more. Alexandria Summer Restaurant Week showcases the inventiveness of local chefs in neighborhoods throughout the city, including Old Town, Del Ray and the West End. 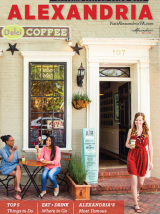 At a range of locales, from fine dining establishments to casual neighborhood favorites, guests will savor the flavors of Alexandria&apos;s distinctive collection of eateries. View our menu flip-book and make reservations at www.AlexandriaRestaurantWeek.com. This semiannual event spans two weekends, making it an extraordinary time to transform Alexandria Restaurant Week into an even more delicious event with special rates at luxurious hotels just steps from participating restaurants. To find hotel information, go to www.VisitAlexandriaVA.com/Hotels. Alexandria Restaurant Week was launched in 2009 by Visit Alexandria and has since been a favorite amongst patrons and restaurateurs, occurring biannually in the winter and summer. Visit Alexandria coordinates and markets the event, which is free for participating restaurants. In addition to serving as an economic driver for Alexandria restaurants, Alexandria Restaurant Week bolsters the city’s reputation as a culinary destination, popular amongst presidents and well-versed foodies.